#RajkummarRao says he is feeling proud of his drama movie #Newton for winning the #NationalAward for Best Hindi Film. 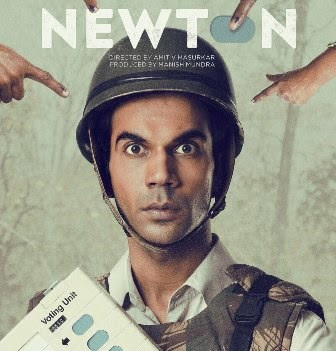 Newton is a 2017 satire comedy-drama film co-written and directed by Amit V. Masurkar. The film stars Rajkummar Rao, Pankaj Tripathi, Anjali Patil and Raghubir Yadav. Now the film has bagged the National “Best Hindi Film” Award and Actor Rajkummar Rao is nothing but proud. Actor Pankaj Tripathi has been acknowledged for his spectacular role as a CRPF Officer in Newton. He has won a Special Mention Award for his role in Newton.